Go, Reagan, go! 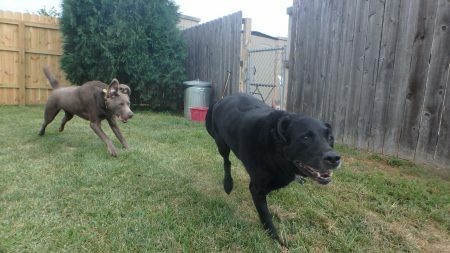 Reagan G. (silver lab) is about to catch up with Calvin B. (black lab) during a game of chase in the Grass Yard!